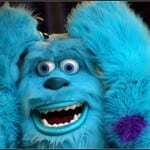 This post was originally published on March 17, 2009. It was substantially revised and re-posted on June 29, 2015. It’s the name that dominated the NBA play-offs, and the star of the newest Disney-Pixar flick. Our Baby Name of the Day is Riley. There’s something about Irish names. Liam, Owen, Declan. They’re friendly and cheerful. It’s not just given names, either. Brennan, Brady, Quinn. Upbeat and approachable, but still serious enough to be, say, your neurosurgeon or newest hire. Riley has those same qualities. It comes from a Gaelic given name – Raghailleach or Roghallach – which became the surname Ó Raghailligh. History dead-ends there, without revealing a source. Or it could be an Old English place name, meaning rye meadow. In the early 1900s, Indiana-born poet James Whitcomb Riley penned pleasant, simple poems. He favored lines like the ripest peach is highest on the tree. You can imagine them on Instagram today. Or possibly, it’s back to Ireland again. The Reilly family was so powerful in County Cavan that they minted their own money. 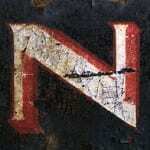 The surname became associated with wealth. In 1919, popular songwriter Harry Pease used the phrase “life of Reilly” in a popular song. But we know the phrase today thanks to a long-running 1940s radio program turned 1950s hit television series, with a movie adaptation thrown it for good measure. Chester A. Riley was a dreamer and a bit of a blunderer, the forerunner of memorable characters like Ralph Kramden and Archie Bunker. But he was also a lovable, big-hearted kind of guy, and while his family never quite achieved the good life, they all ended happily. In 2009, I called this name controversial. Why? Because while Riley has always ranked in the boys’ Top 1000 in the US, it has increasingly been favored for girls. Even though you’ll still find plenty of boys with the name, the idea of boys’ names for girls can be a touchy subject. On the girls side, Riley ranked #47, up slightly from #52 in 2007. There’s also Rylee (#113), Ryleigh (#188), and Rylie (#387). For the boys, Riley ranked #173 in 2014, down from #109 in 2007. As for other spellings, Rylee ranked #872. The numbers give this one to the girls, maybe thanks to names like Kylie. Though Riley also feels like an update to the masculine Ryan. And while that’s over 4,700 girls, it’s also almost 2,500 boys. Rylan and Rylen are also catching on in 2014. June 2015 was the month of Riley as a headline-grabbing girls’ name. First there’s the Golden State Warriors’ Steph Curry. Curry brought his daughter to press conferences as the Warriors advanced through the NBA playoffs, and little Riley Curry stole the scene. She was born in 2012. 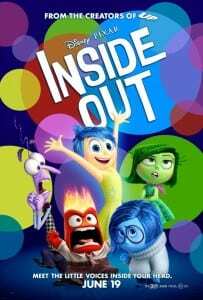 Then there’s the new Disney Pixar flick, Inside Out. The stars of the show are the emotions inside of Riley’s head. The animated girl would have been born around 2004 – again, a pitch perfect choice. File Riley under twenty-first century baby names. It’s become a go-to choice for parents of boys and girls. With a lively, upbeat sound and positive associations galore, doubtless we’ll continue to meet more Rileys. Do you like Riley better for a boy or a girl? Do you think this name has staying power, or will fade quickly? I know both male and female Rileys that are my age, but I definitely prefer it on a boy. It’s on my list for a boy as a *maybe*, but it’s nowhere near my favorite name. My girls have friends: boy Riley and girl Riley, born the same year. I’d like to see this one remain truly unisex. One of my imaginary children growing up was Riley Jude, so I have in-principle objections to using this as a girl’s name! 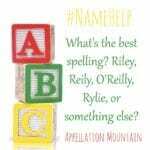 I don’t care for Riley at all, but one of the little girls that went to the daycare center I used to work at spelled her name Riellie. Seriously. Her sisters are Sidnie and Maddison. I worked with their mother. Nice girls, but the names are horrible. Briley, Bryleigh, Rylee, Ryleigh, etc… are even worse. I kind of like Ryland for a boy. I wouldn’t use it though because I refuse to give my kids trendy names. Sidnie and Maddison seem silly-but-harmless, but Riellie hurts my eyes, Laney! And I want to see REE ell EE, not Riley. It reminds of the Phillies’ player with the daughter called Sawyur. I keep thinking it *must* be another name. While Riley is not my usual taste, I can’t at all dislike it since I’ve known too many darling children with the name! It has got to be one of the most popular names in my area. My cousin has a son named Riley — he would probably be in the third grade right about now. And, as a first grade teacher, I’m just about guaranteed to have one every year. Last year it was a sweet blonde girly-girl Riley; this year I have a mischievous boy Riley; and I often hear a kindergarten teacher admonishing a somewhat noisy Riley as she walks her class through the halls. Not sure if that one’s a boy or girl, but I’m sure I’ll find out when September rolls around. This name is great for a dog! It goes quilte well with Bailey, Cooper, and Tucker, I think. None of these makle me think of little boys – I just think of roly poly puppies! I have a friend whose daughter, about 14 months old, is called Riley. But for her, I would have thought it wore better on a boy (or as Nessa mentioned, a dog). It’s surprising to me that it has always ranked for boys, because I had never met a Riley before my friend’s little girl. I’m not one for gender-neutral names in general, but Riley is fine. It’s not a favorite, but I can definitely understand the appeal. Somewhat related along the lines of the rising popularity for both girls and boys, is Jamie in the 70s kind of similar in that it was popular for both boys and girls? (I have known multiple Jamie/Jaimes of both genders born in the 70s). Perhaps it was more popular on the girl side than boys, but it seemed it was getting popular for boys as well as girls in the same time frame? I had a (male) dog named Riley, he was the best. I also used to know an adorable little girl named Riley, who’d be about 8 now. I wonder what it is about this name that makes it actually likable on either gender. I prefer it for boys, but it is really cute for girls, too. […] for Mallory and Aida. […] the good guys make off with German gold. […] you see this study? […] is growing, and it is pretty addictive. […] Courtney Cox transformed her childhood nickname into her daughter’s given name, Coco Riley. […] Dylan, and Keira – girl, boy, girl. […] sound of Ruby and Lucy, plus the lee ending so in favor from Emily to Ashley to Hailey to Riley. […] our age of Ava and Audrey, Riley and Madison, it seems a natural evolution to consider the surnames of celebrities. […] but he’s not quite captured the attention of American parents, either. […] Cox answered to the nickname Coco, which is how her daughter, Coco Riley, got her name in 2004. […] Lawry’s spices and marinades. 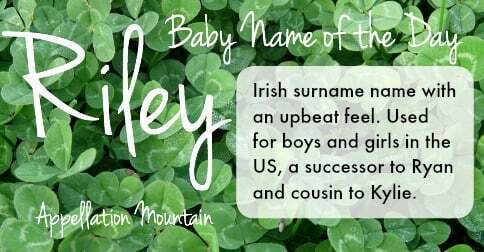 […] will recognize Rafferty as an Irish heritage choice, the kind of surname that fits right in with Riley. […] Riley is your kid’s classmate. […] is daughter Cambria Rogue. […] isn’t – it’s the most meaningful name you can imagine. […] between the retro Nancy and the more current Callie. […] liked to buy pink pencils with her name on them.